One of the chief difficulties young people feel in essay-writing is lack of matter. They do not easily find anything to say about a subject. This is a natural, because their experience and general reading are limited. But it may be remedied by reading, and by training the power of observation. Bacon said, “Reading maketh a full man“; that is, a person who reads much and widely stores his mind with a large variety of facts, thoughts, illustrations and general information. If you want to write good Essay you must acquire a love of reading not simply reading stories for amusement, but reading good books of history, travel, biography and science. Fill your mind with fine thoughts and accurate information. By so doing you will become “A full man” and “A full man” can always find plenty to say on most subjects. But all knowledge does not come from books. We may learn much from the life around us what we see and hear and observe for ourselves. Keep eyes and ears open, and learn from your own experience. Practice writing short descriptive of what you see in everyday life the people you meet, bits of scenery that strike you, buildings, street scenes, trees and flowers, hills and valleys, the habits of animals and birds. Don’t be content with reading other peoples description of such things, but see them for yourself. It is surprising what a lot may be learnt from personal observation. Books are written by men and women; and if we can learn from the books they write, we can learn also from the words they say. Listen to people’s conversation; get them to talk to you about the things they know, and discuss subjects that interest you, with your friends In this way, also you may learn much. A writer reads, observes and gets people to talk; and in these ways he is always enriching his mind with ideas and knowledge. Now we come to the special preparation needed for writing an Essay on some particular subject; and the first thing we must do is to define the subject. It is very important that you should have a clear and accurate conception of the subject of the Essay before you attempt to write on it, what exactly it is and what is not. Some subjects are so simple that you can scarcely make a mistake about them; but some want looking into to define them exactly. For example, “The use of computer”. The subject is not how computers work. Nor is it the history of computers. Yet some students, carelessly reading the subject, might easily take up a large part of their Essay with such topics. In a short school-Essay there is no room for irrelevant matter. You have to come to the point at once, and start away with subject. The subject in this case is the uses of computers in offices, in industries, in aircraft, in spacecraft, etc it is, therefore, very necessary that you should define the subject clearly in your own mind, or you may waste much time and paper in writing on more or less irrelevant matters. When you have got a clear idea of your subject, the next step will be to think of what you can say about it. Some subjects are so simple that a little reflection should supply you with sufficient material for short Essay ; but for others, special information will be needed for which you may have to do some special reading. For instance, if you have to write about some historical subjects, or give a description of some country you have seen, you will have to get hold of some book and read the subject up. But in any case, you have to collect materials for your Essay before you can write the Essay before you have given some time to thinking over what you can say on the subject. The common habit of beginning to write down the first thing that comes into one’s head, without knowing what is to come next, is fatal good Essay-writing. As you think over the subject, ideas, facts, and illustration will pass through your mind. But if you don’t catch them as they come, you may forget them just when you want them. So, as you catch birds and put them in cage, catch and cage these fleeting thoughts by jotting them down on a piece of paper just as they come into your head, without troubling yourself at this stage about their order or suitability,. You can examine the birds thus caught at your leisure later. When you think you have collected enough material for your Essay, or you can’t think of any more points, read over the notes you have jotted down to select the points most suitable for your purpose. Examine at our leisure the birds in the cage, to see what they are worth. You may find that some points are not very relevant or won’t fit in; cross them out. You may find that some are mere repetitions of others; and others may be simply illustrations to be brought under main heads. This process of selection will probably suggest to you in a general way the line of thought you may follow in the Essay. Now you should be ready to decide on the line of thought of the Essay i.e., the logical order in which you can arrange the points you have selected. The necessity of thus arranging you thoughts according to some ordinary plan cannot be too strongly insisted upon. Without it, the Essay will probably be badly arranged, rambling, disproportion, and full of repetitions and irrelevancies. Bearing your subject definitely in your mind and with your purpose clearly before you, sketch out a bare outline of the main heads, under which you will arrange our various material in a natural, logical and convincing order form a brief introduction to an effective conclusion. Having thus mapped out the main points with which you are going to deal, arrange the ideas you have collected each under its proper main head, rejecting all those not really relevant to your subject or which simply repeat other thoughts. And taking care that each really belongs to the division in which you place it. 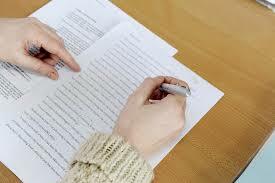 You will now have a full outline, which is to be guide to you in writing the Essay. But this is not the Essay, but only it well articulated skeleton. You must now clothe the skeleton with flesh, and breathe into it the breath of life, before you can call your production and Essay.